Persistence helped Larry Mills find the cause of his symptoms and access education and support. 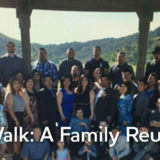 Larry Mills, a claims investigator from the Sacramento area, started having trouble tracking details from his many work cases: upcoming trial dates, invoices and reports from experts. He tried using sticky notes to help him remember the details of his 200+ cases. This was not normal for Larry. He had started his career as an Army counterintelligence officer and then worked 30 years as a claims investigator. He was familiar with cognitive problems since his mother, Gladys, had younger-onset dementia. But the first neurologist told him that his problems were due to normal aging. It took three different doctors and joining a research study for Larry to get an accurate diagnosis. Getting an accurate diagnosis is a key step to living well with a cognitive impairment. It gives individuals and care partners the chance to attend education programs, make important decisions and explore research studies. In a U.S. survey of adults aged 60 and over, 95 percent say that if they had confusion and memory loss, they would want to know if they had Alzheimer’s disease. Over 97 percent say that if a family member had memory loss, they would want their family member to see a doctor. 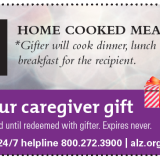 But, most people living with Alzheimer’s do not know they have the disease. Research shows that up to half of people with dementia have never been diagnosed. 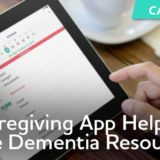 Even among those who have been formally diagnosed, only 45 percent of those with Alzheimer’s or their caregivers are aware of the diagnosis. When he first noticed important changes in his memory, Larry talked with his doctor. Even though Larry did well on an initial cognitive test, the doctor referred Larry to a neurologist. After an assessment, the neurologist said Larry’s symptoms were due to normal aging. Larry was skeptical of the diagnosis and sought a second opinion. When the second neurologist examined Larry, he helped him join the Imaging Dementia – Evidence for Amyloid Scanning (IDEAS) Study. 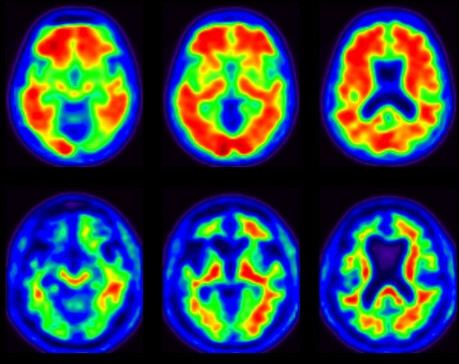 The goal of the trial is to see if using positron emission tomography (PET) imaging as a diagnostic tool leads to changes in disease management. The Centers for Medicare and Medicaid Services is paying for scans for those in the study. After finishing the tests, the second neurologist diagnosed Larry with mild cognitive impairment (MCI). When the neurologist asked Larry how he felt about the diagnosis and the positive PET scan result, Larry responded that he was “a little relieved” to finally know what was causing the changes. Mild cognitive impairment causes a slight but noticeable and measurable decline in cognitive abilities. A person with MCI has a higher risk of developing Alzheimer’s or another dementia. However, MCI does not always lead to dementia. After the diagnosis, a friend told Larry’s wife, Ellen, about an education program. Larry and Ellen attended Living with Alzheimer’s, a three-part series offered by the Alzheimer’s Association. 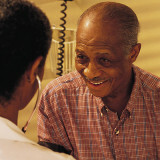 Individuals living with Alzheimer’s or another cognitive impairment and care partners participate in separate sessions. 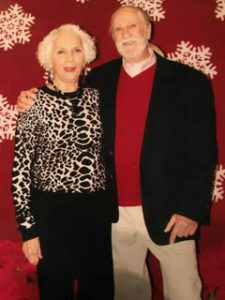 Next Larry and Ellen joined the Early Stage Support Group. Sometimes people feel isolated after their diagnosis. Larry participates in a weekly facilitated discussion with others living with dementia or mild cognitive impairment who are in the early stage. Participants talk about dealing with challenges and continuing to live a meaningful life. Ellen attends a separate group for care partners that meets at the same time. The education and support programs are helpful for those with Alzheimer’s, other forms of dementia or mild cognitive impairment. It’s important for everyone to plan for the future, but legal plans are especially important if you have a cognitive impairment. Legal, financial and health care documents can make things easier in case you can’t make your own decisions due to health issues. Larry and Ellen had their documents in place already. They discussed changes they may have to make, if Larry’s symptoms progress. They have decided to sell their home and move into a continuing care retirement community. Before the military, Larry wanted a career in veterinary medicine. He is “a frustrated non-doctor” who once volunteered as an EMT and taught advanced first aid for the American Red Cross and CPR for the American Heart Association. Larry has turned his interest in science to focus on dementia research. After being in the IDEAS study, researchers invited Larry to join a follow up study. Larry provided a DNA sample for the Amyloid Neuroimaging and Genetics Initiative (ANGI). Researchers will use Larry’s data from both studies. They will try to identify genetic factors that contribute to cognitive impairment, dementia, and other neurological disorders. Larry also signed up for TrialMatch. This helps him learn about research studies seeking subjects. He has been accepted into a study at the Sutter Neuroscience Institute. 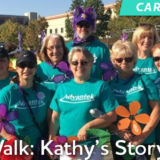 Larry participates in the Brain Health Registry, which the Alzheimer’s Association helps to support. Larry worked until he was 70. He said that he would have worked longer, if not for his cognitive symptoms. Since retiring, Larry has found several ways to live well and enjoy life. · Help delay or slow a decline in thinking skills. · help improve symptoms of depression. · reduce risk of falls. Larry continues to be physically active. 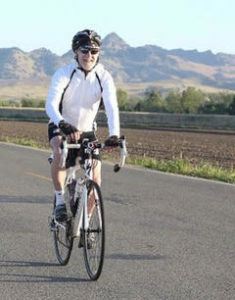 He is part of a club that bicycles 25-30 miles per day. He also swims regularly and enjoys a good game of table tennis. Larry studies Zen Buddhism and finds that the teachings related to mindfulness (living in the present, without judgment) are very helpful. He also practices meditation. Larry’s journey to getting a diagnosis had some bumps. Since the diagnosis, Larry and Ellen have followed a path of education, support, getting involved and staying active. Caring for his physical and emotional health helps Larry live well.